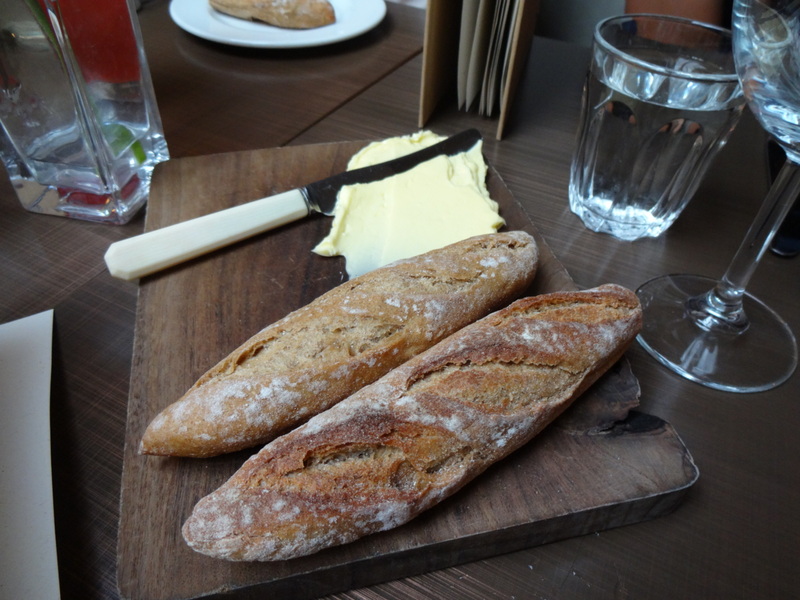 Picture Restaurant is an ultra chic restaurant, in the heart of the Fitzrovia area, just behind Oxford Street. Nowadays-small plate dining becoming increasingly popular, it’s cheap and fun to order a bunch of stuff to share with a group. Picture offers British, European fare, if you don’t know what to get. Go straight for the six course-tasting menu for £35, in my opinion a real steal, although it won’t exactly make you full. The restaurant features former head chefs from Arbutus and Wild Honey, interior of Picture has minimalist setting. Metal frame chairs, clean wooden tables, subtle lighting. 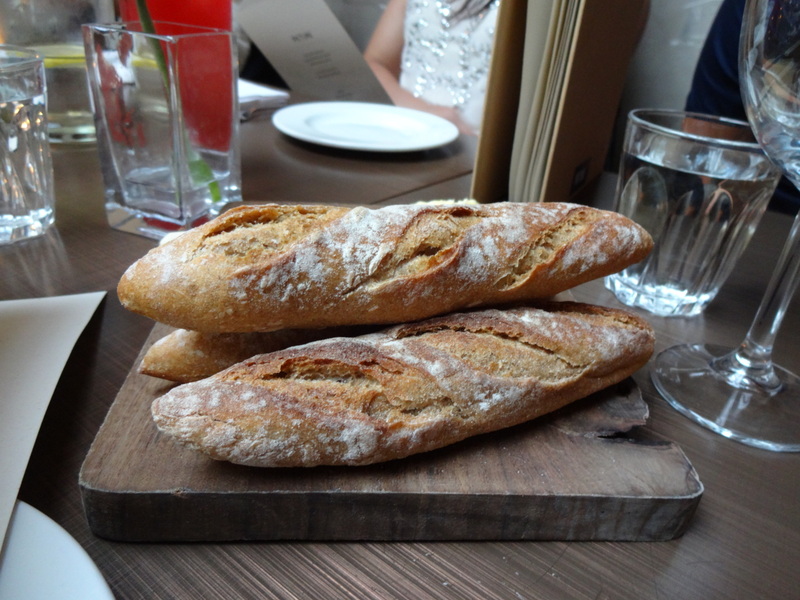 Our meal began with the mini sourdough baguettes, as the whole table ordered the tasting menu we awaited for the dishes to come piling out. 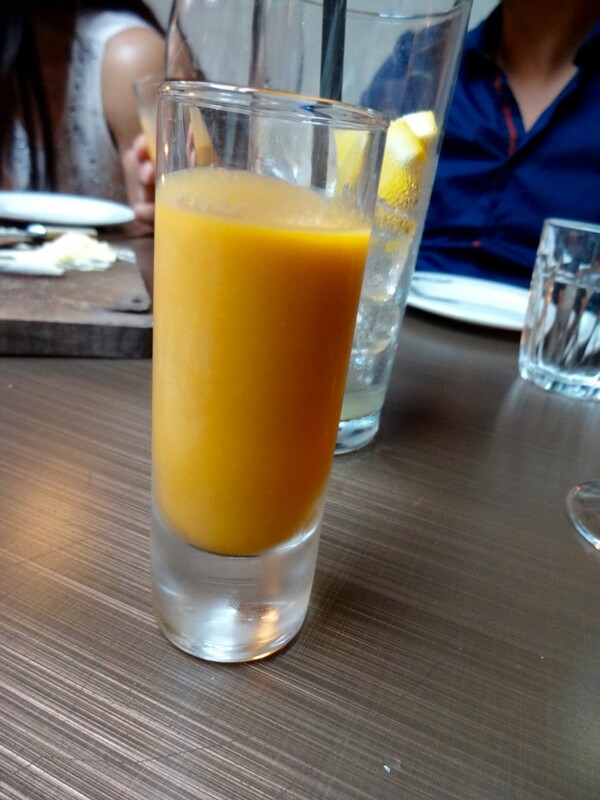 Firstly the unassuming shot glass came to our tables, chilled red pepper soup was gone within twenty seconds. Soup was a thick puree with the clean flavour of red pepper, without being bland. Grilled tenderstem broccoli, came dashing vibrant in colour, contrasting between the evergreen and chopped up dice red plum tomatoes. Beneath the stems fresh fluffy white goat’s curd and capers. Another simple, yet tasty dish without being overcomplicated. The next entry dish came in an astonishing assembly, artfully put together. 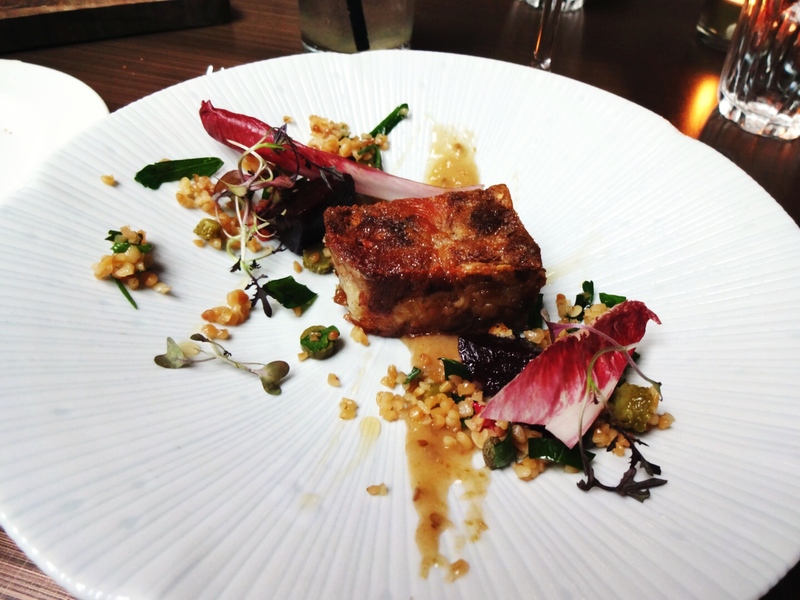 Crisped pressed pork lightly smoked, beetroot pieces, gooseberry and elderflower is salty, sweet and sour. 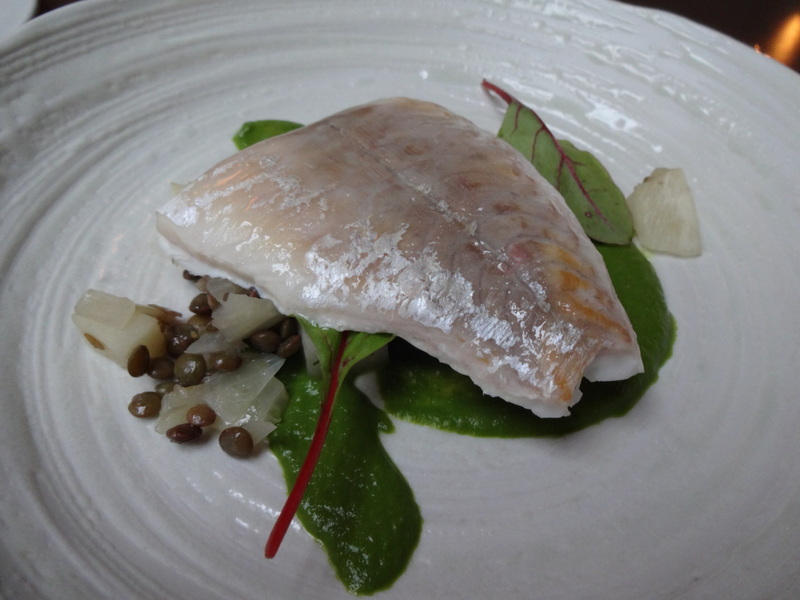 The seam beam with puy lentils, fennel and dill is fresh and has a pleasing texture. 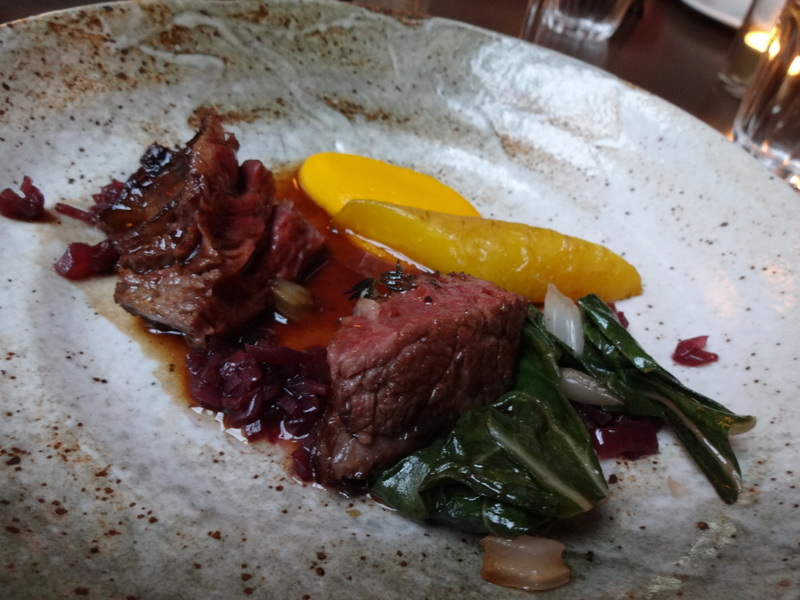 The last course before desserts, 28-day age beef, swiss chard, carrot and cumin. Looked pleasing to the eye and the servers even brought out a special knife. I had trouble cutting through the bloody red beef, and I found it too chewy. 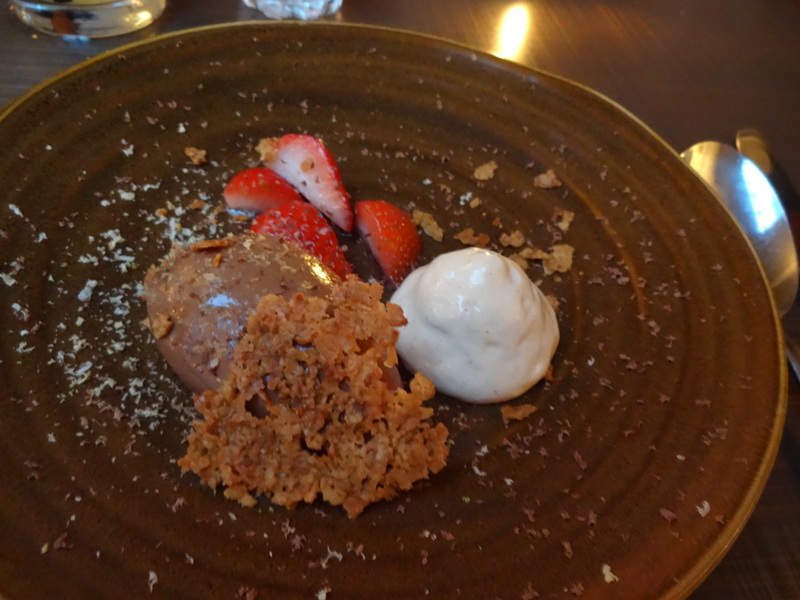 The dessert of smooth chocolate mousse, summer strawberries, peanut butter cream and honeycomb, the right blend of textures was the perfect ending to the meal. We also had a few cheese boards between for the extra supplement of £4. Picture Restaurant is a great spot for excellent British small plates for sharing, everything is well priced from £3-£8, modest portions. 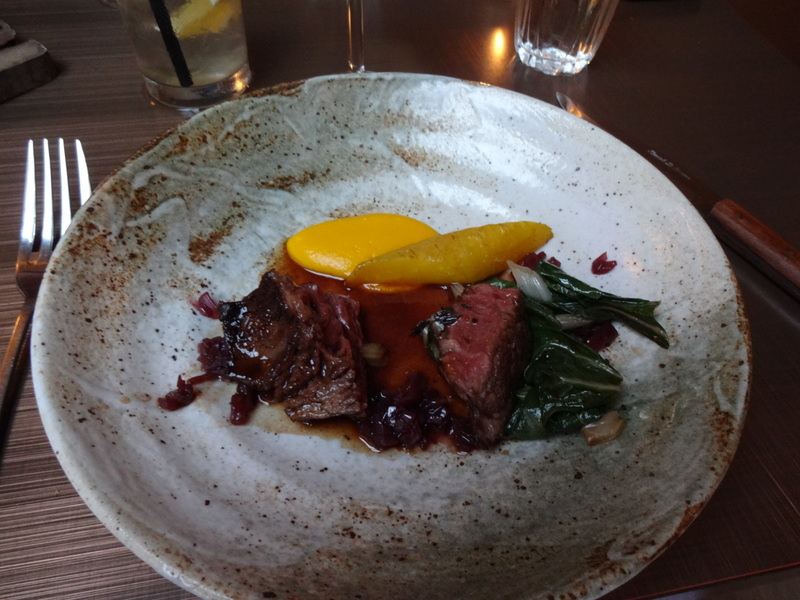 The tasting menu, plus drinks and extras, service set us back for £60 per a head.